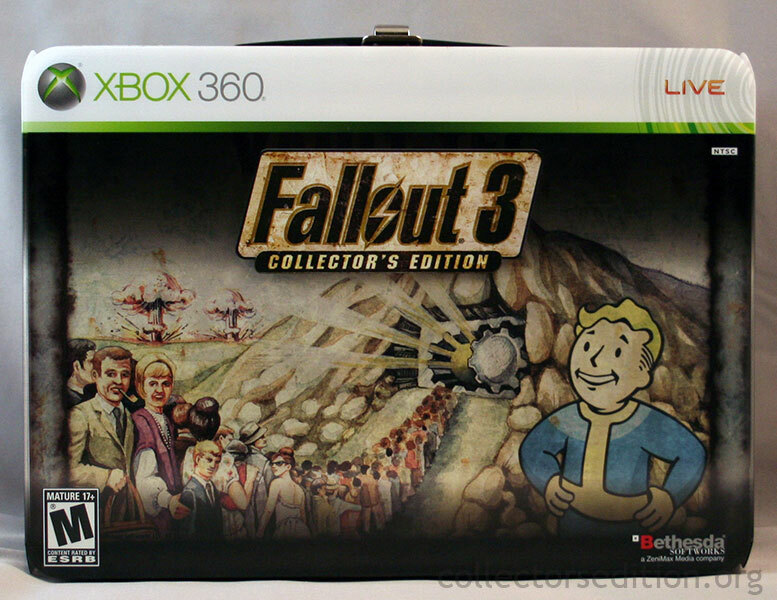 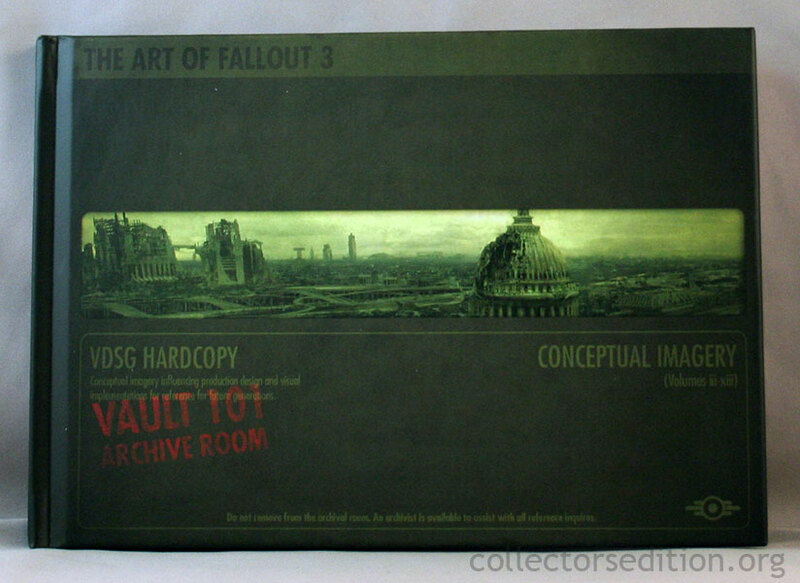 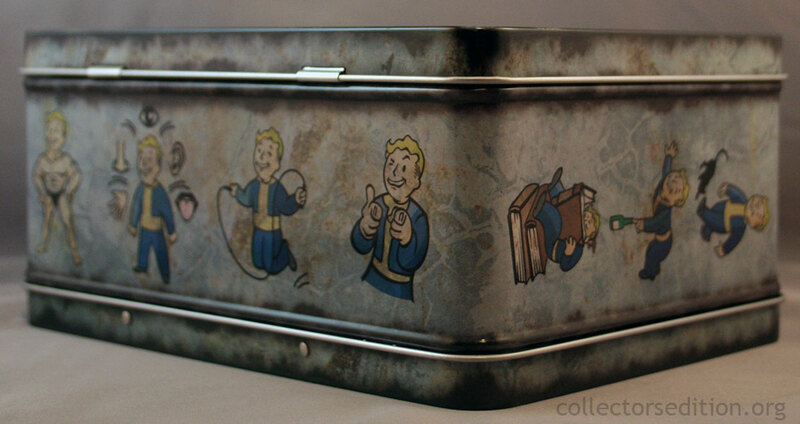 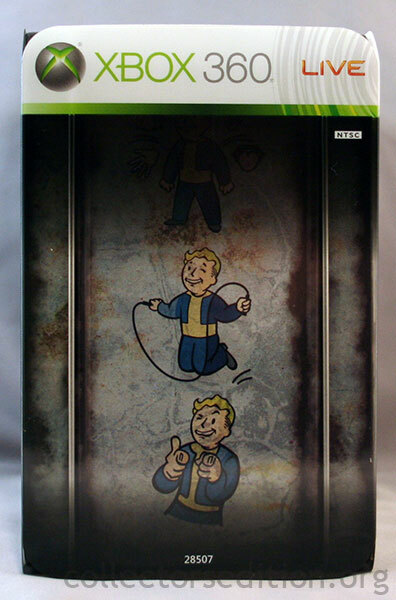 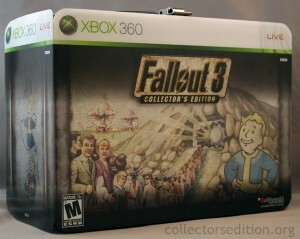 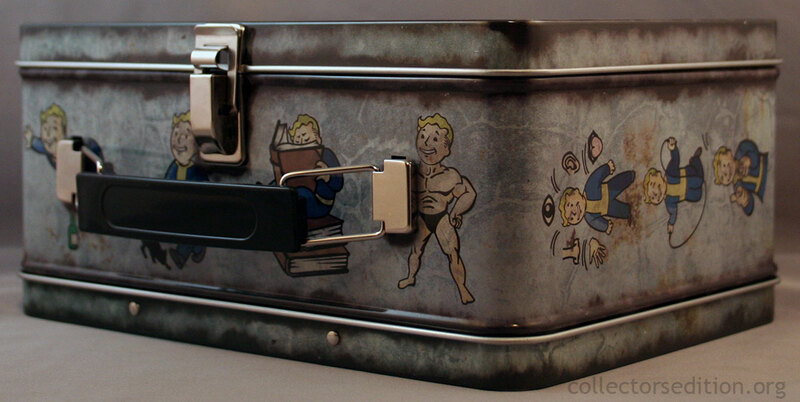 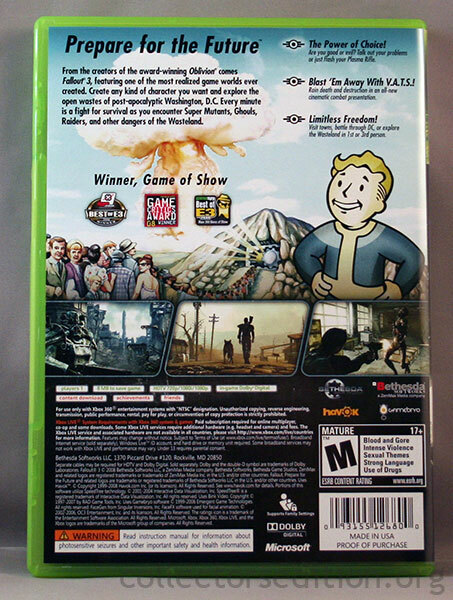 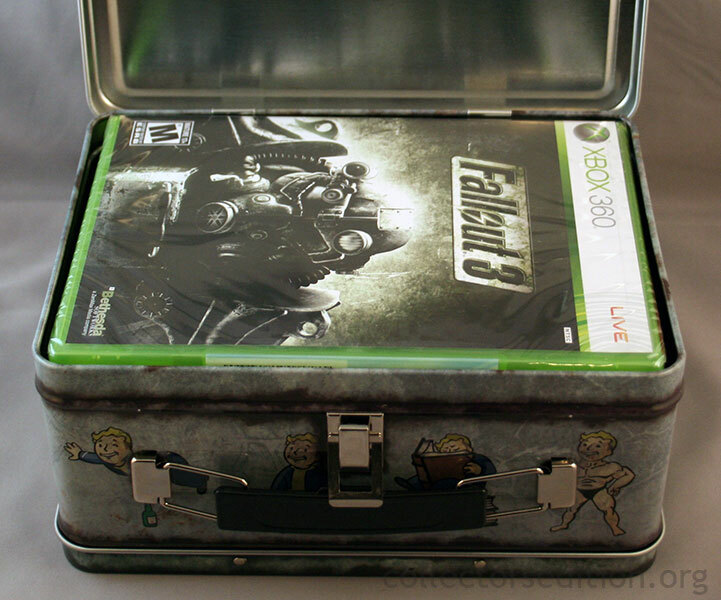 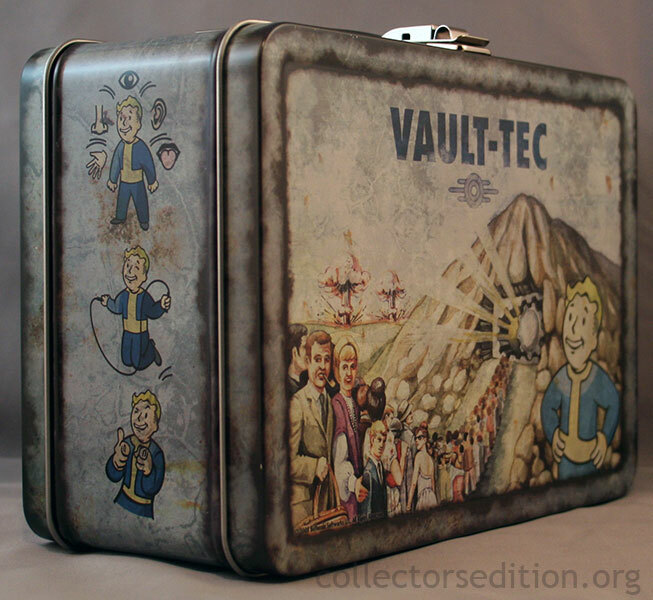 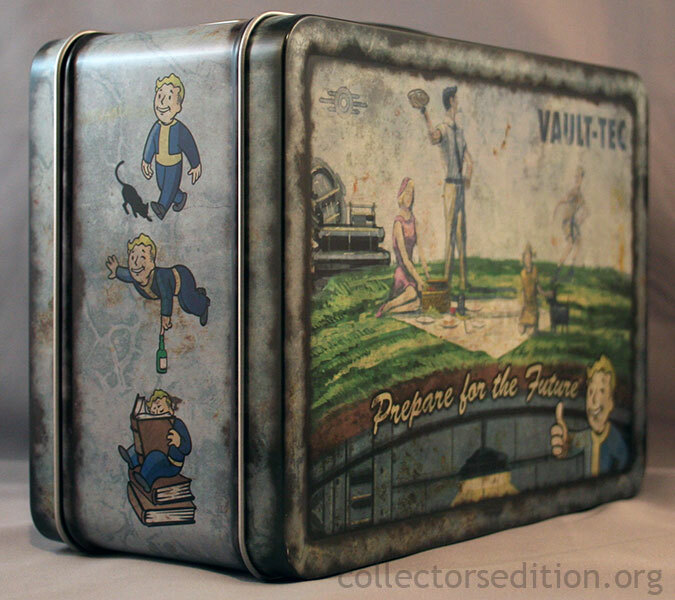 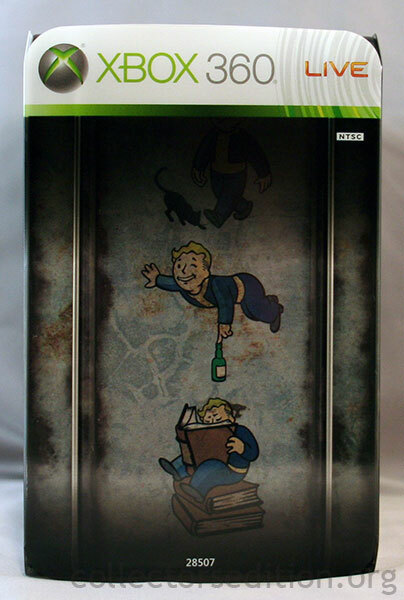 The Collector’s Edition of Fallout 3 comes packaged in a metal lunchbox with a plastic sleeve. 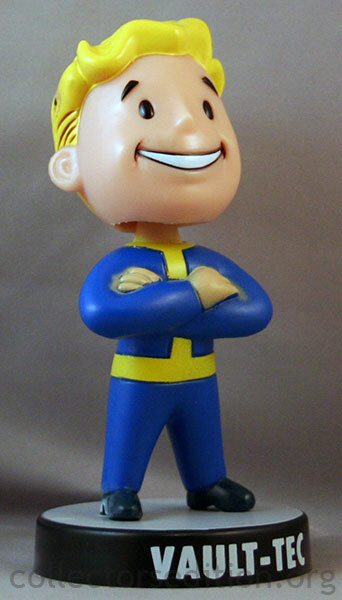 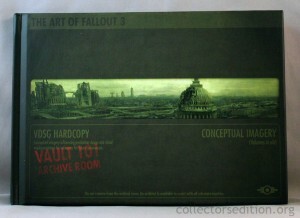 Inside is a Vault Boy Bobble Head, a hard cover art book, and a Making of DVD in addition to the regular edition game. 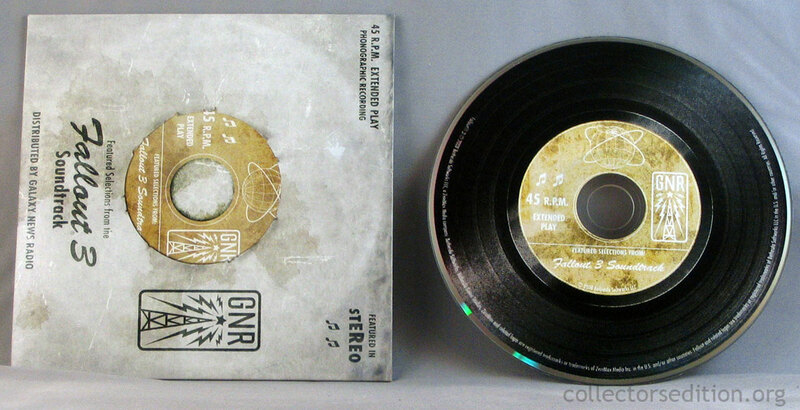 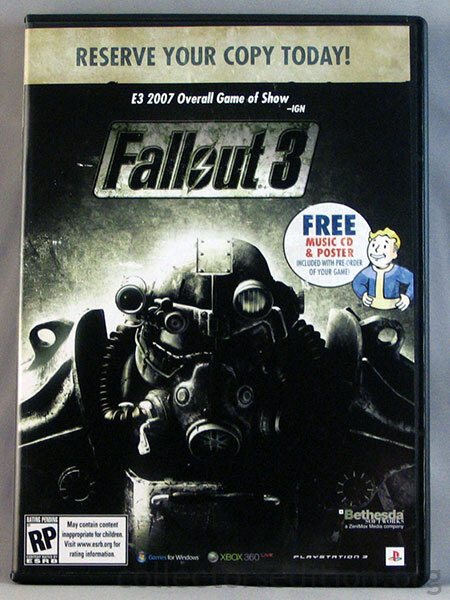 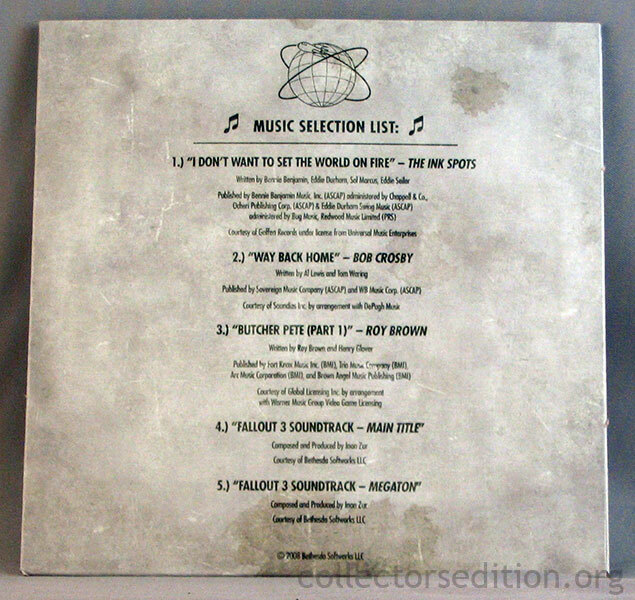 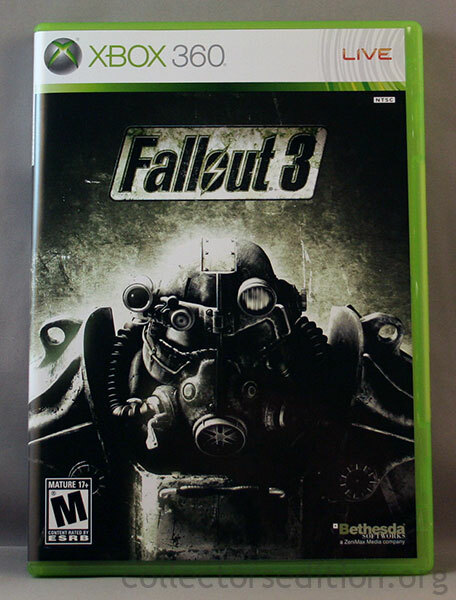 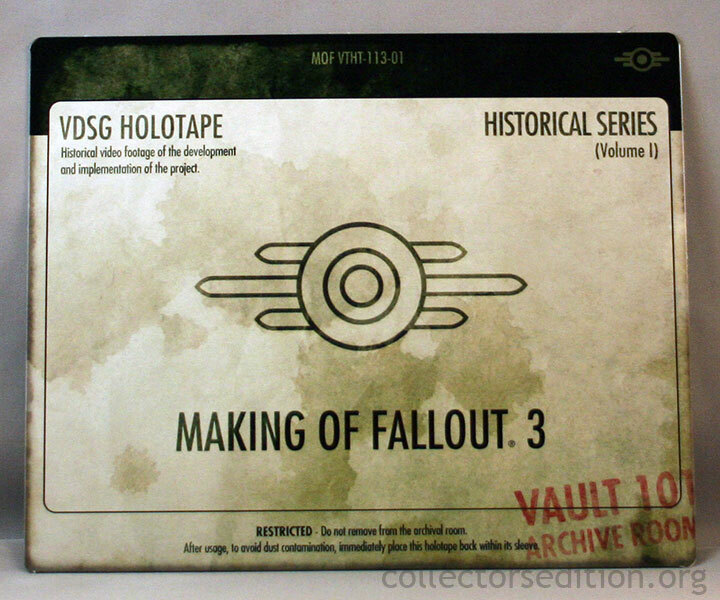 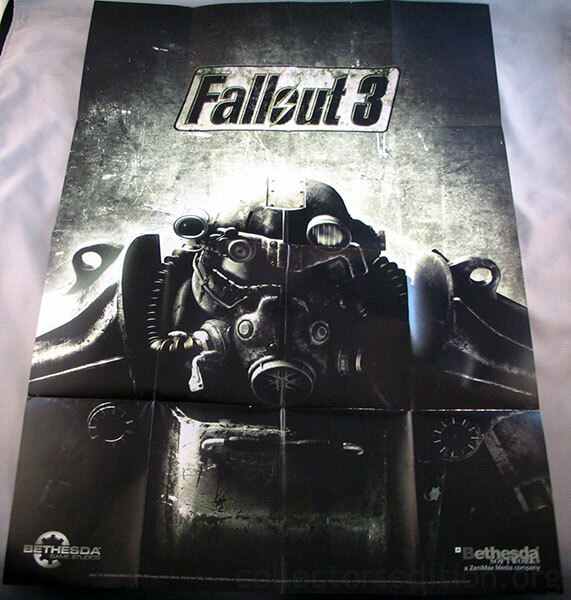 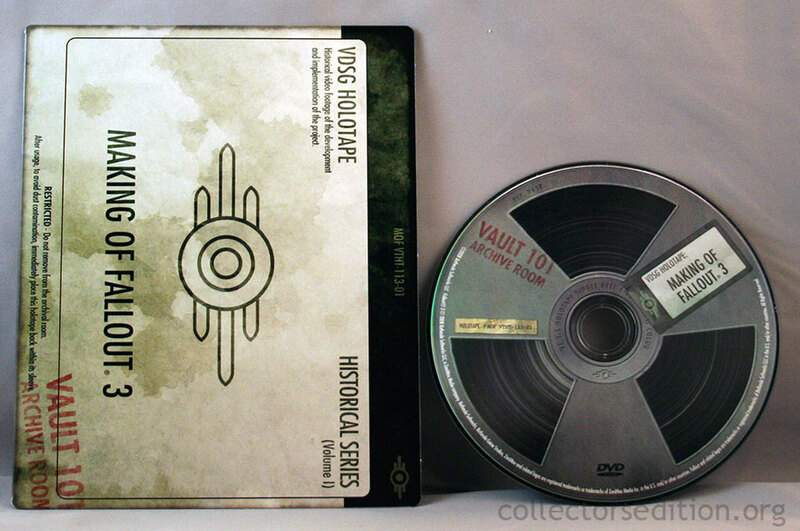 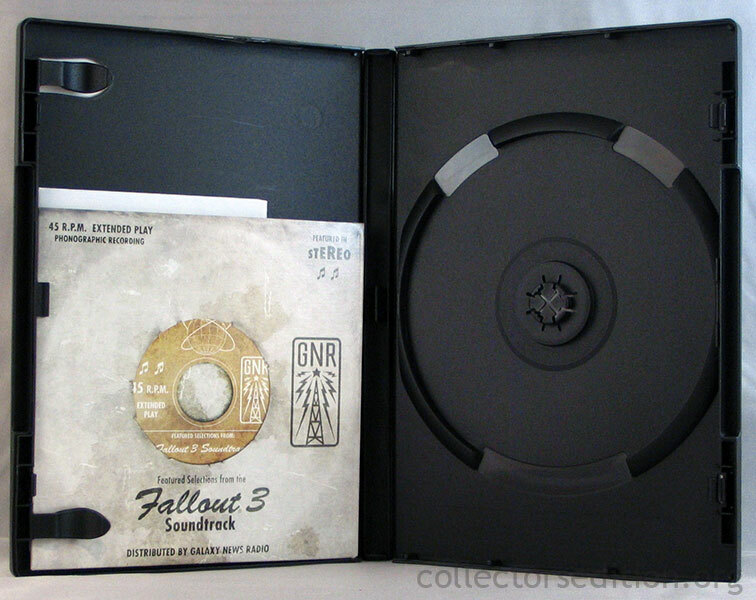 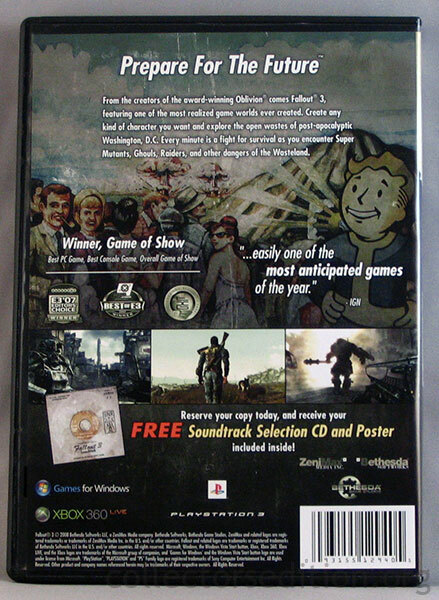 Those who Pre-Ordered Fallout 3 through GameStop locations received a black keep case containing a Fallout 3 soundtrack disc in a cardboard sleeve as well as a fold out Fallout 3 Poster. 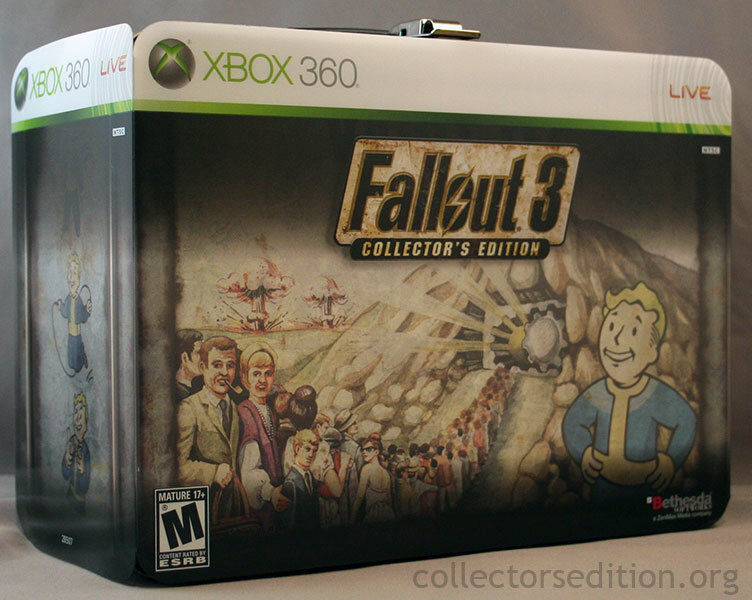 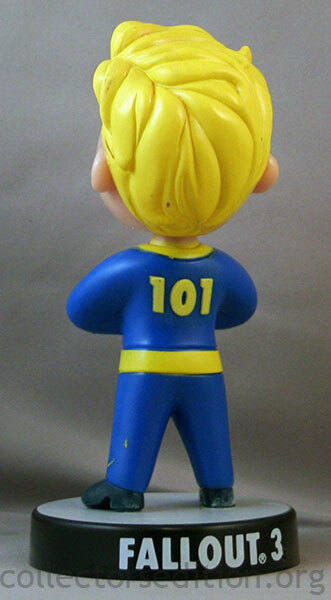 Mar 25, 2008 - Fallout 3 Collector's Edition Comming? 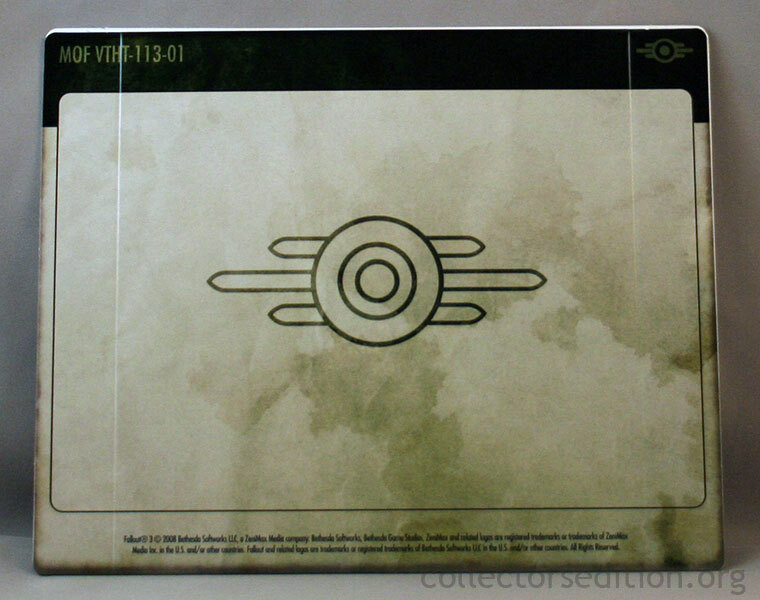 This entry was added to the database on Tuesday, March 25th, 2008 at 11:33 am by Michael Pica. 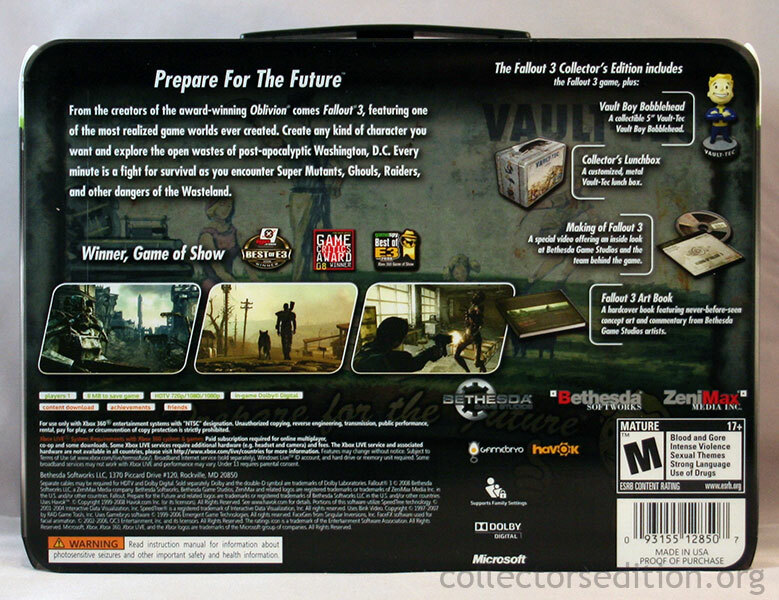 This information was last updated on Thursday, March 19th, 2009 at 11:49 am by . 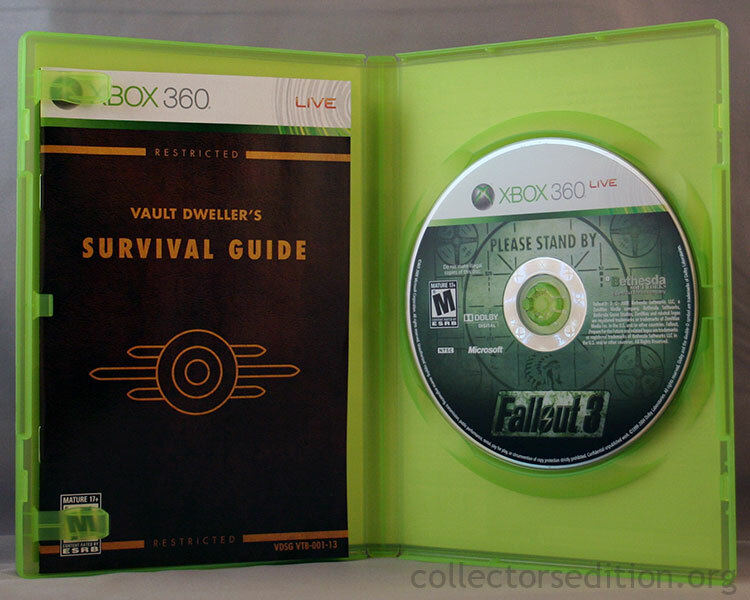 will have the PAL version tomorrow but i doubt it will be any different from this one.